CALABASAS, CALIFORNIA, UNITED STATES, September 13, 2018 /EINPresswire.com/ — For decades chemotherapy has been the most wide spread option for treating patients with advanced stages of cancer. But recent data suggest not only has chemotherapy alone been insufficient in curing advanced cancer patients but when used blindly it can allow early resistance in cancer cells and trigger even more aggressive tumors. One brilliantly astute doctor has effectively come up with a method that can miraculously help patients without any significant toxic effects of chemo. Dr. Nader Javadi is an exceptionally gifted board certified Oncologist and founder of Hope Health Center. For decades, doctors have been giving cancer patients the same type of chemotherapy which Dr. Javadi labels “the blind treatment”. By providing more specific therapy in his clinic we are thankfully seeing a better response and a significantly improved quality of life for patients in advanced stages of cancer. Many of those protocols are exclusively designed in Dr. Javadi’s highly regarded international clinic. Dr. Javadi has been Chairman of the Cancer Committee at Riverside Cancer Foundation, a Clinical Assistant professor at University of California, and featured in many national and international TV and radio stations. With numerous clinical trials and wonderful procedures emerging doctors must continually stay updated and work extremely hard for the patients and remain emotionally strong. In November Dr. Javadi will be part of a T.V. show on Fox Business and Bloomberg called “Crushing Cancer,” hosted by celebrity William Shatner. Many oncology experts from around the country will speak on the program and the questions will be personally designed by Dr. Javadi. 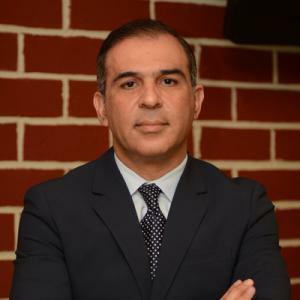 Dr. Javadi’s successful results have placed his clinic at the center of the international platform where they were approached by foreign investors to establish multiple Precision Oncology clinics around the globe. Two major multibillion dollar holdings from China have invested in his company to promote individualized cancer treatment in China and elsewhere. Hope Health Center is the only private community oncology clinic in the world that has been involved in such a big international project. In the new joint venture with foreign holdings, Dr. Javadi acts as the medical director and CEO as well as a member of the Board of Directors. Next Next post: An Open Letter To Our First Lady Ms. McCray.